NORTHAMPTON, Mass., February 8, 2018 /3BL Media/ - Corporate social responsibility and sustainability reporting is growing globally yet many brands continue to suffer from a lack of awareness among key stakeholders about their organisations’ many environmental, social and governance (ESG) successes. Join 3BL Media’s Stephanie Conzelman, VP business development, and Sheila McManus, business development director, on February 27 at 2 p.m. BST (9 a.m. EDT) for a behind-the-scenes tour of ReportAlert, the report announcement platform used by more than 500 global brands from Marks & Spencer and GSK to CA Technologies and American Express. Attendees for this 30-minute webcast will learn how organizations producing reports on their corporate citizenship and sustainability activities are experiencing heightened interest in their content well beyond expectations. A live Q&A session will follow, and an archived version of the webcast will be available for those who cannot participate in real time. “Stephanie and Sheila will address common practices for promoting reports and explain how ReportAlert helps by reaching a unique audience who are passionate about tracking progress on topics ranging from climate change to the U.N. Sustainable Development Goals,” said Jon Shrair, Brand Director of 3BL Media, who will moderate the webcast. 3BL Media built an audience that reaches millions through multiple highly targeted channels and websites. Among those receiving updates via ReportAlert are practitioners, C-suite executives, government policy makers, educators, and investors. The Governance and Accountability Institute found that 82% of S&P 500 companies issued CSR or sustainability reports in 2016 versus just 20 percent in 2011. With disclosure and reporting on the corporate sustainability journey the new norm and CEO attention to the topic of sustainability at an all-time high in the wake of Larry Fink’s statement from BlackRock a few weeks ago, any communications professional responsible for building an audience keen to track a company’s ESG performance will want to join Conzelman and McManus for insights into ReportAlert. 3BL Media is the world’s leading communications partner for purpose-driven organizations. 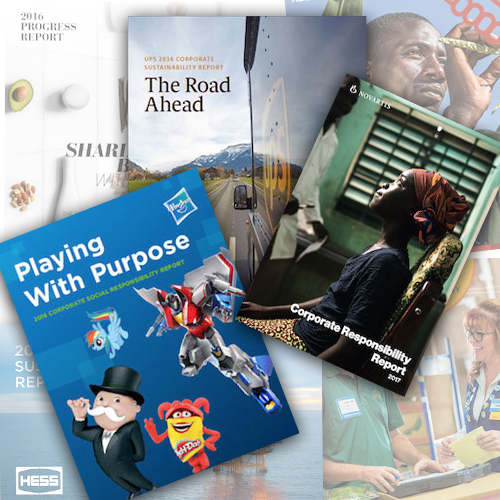 Through content distribution, multi-media promotion and hands-on learning experiences we connect organizations to an unrivaled network of sustainability professionals and others who are passionate about CSR and sustainability. Content issued by 3BL Media clients also appears on hundreds of thousands of Bloomberg and Thomson Reuters terminals.